http://bit.ly/2TA0LjR is a cryptocurrency and blockchain system designed to support startups throughout Africa. But it’s also a great human adventure, the result of a team of people from different backgrounds.Who Is Behind Zynecoin?Zynecoin came to be as a collaboration between three forward thinkers:Jihad Ouazzani, a marketing specialistMossaab Tazi, a certified blockchain expert with studies in finance and health information managementYoussef Darim, an electrical engineer and project managerHow Did Zynecoin Come About?Zynecoin began with a meeting between Mossaab and Jihad, where Mossaab brought up the idea of generating cryptocurrency and smart contracts backed by the Ethereum blockchain.The proposal was an ambitious one. Creating and managing this system would be extremely complicated. And since there was no precedent for a blockchain developed and centered in Africa, it would also require them to mobilize a dedicated team without any guaranteed results.Despite these challenges, Jihad believed in the project and saw the immense opportunities and almost limitless potential of blockchain. He brought in Youssef to provide their initial team with the technical expertise required to bring this vision to life.Together, the three of them created and developed what would become Zynecoin, the first cryptocurrency designed specifically to provide seed capital for startups in Africa, with the goal of eventually developing an African blockchain.In April 2018, the Zynecoin team moved into the next phase of their project and announced that they would generate smart contracts. This initiative launched successfully, with hundreds of people declaring their wish to acquire Zynecoin.Where Does Zynecoin Stand Today?After their initial success and promising launch, the Zynecoin team grew quickly and is now housed in a five-story building in the heart of Marrakech’s Guéliz district. Zynecoin’s flagship project is the Hayat health services platform, which is currently being rolled out. Hayat is an innovative approach to decentralizing healthcare provision by allowing patients and healthcare providers to connect with each other through a dedicated app. This gives patients better, faster, and easier access to healthcare services.The next step for Zynecoin is to announce the final date of the ICO (Initial Coin Offering), a global crowd sale for the cryptocurrency.As its story unfolds, Zynecoin will be able to better facilitate innovation and development throughout Africa by mobilizing capital and human resources. 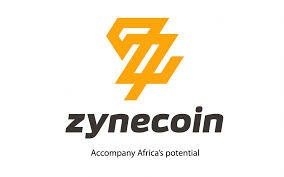 Zynecoin is a cryptocurrency and blockchain system designed to support startups throughout Africa. But it’s also a great human adventure, the result of a team of people from different backgrounds. How Did Zynecoin Come About? Zynecoin began with a meeting between Mossaab and Jihad, where Mossaab brought up the idea of generating cryptocurrency and smart contracts backed by the Ethereum blockchain. The proposal was an ambitious one. Creating and managing this system would be extremely complicated. And since there was no precedent for a blockchain developed and centered in Africa, it would also require them to mobilize a dedicated team without any guaranteed results. Despite these challenges, Jihad believed in the project and saw the immense opportunities and almost limitless potential of blockchain. He brought in Youssef to provide their initial team with the technical expertise required to bring this vision to life. Together, the three of them created and developed what would become Zynecoin, the first cryptocurrency designed specifically to provide seed capital for startups in Africa, with the goal of eventually developing an African blockchain. In April 2018, the Zynecoin team moved into the next phase of their project and announced that they would generate smart contracts. This initiative launched successfully, with hundreds of people declaring their wish to acquire Zynecoin. Where Does Zynecoin Stand Today? After their initial success and promising launch, the Zynecoin team grew quickly and is now housed in a five-story building in the heart of Marrakech’s Guéliz district. Zynecoin’s flagship project is the Hayat health services platform, which is currently being rolled out. Hayat is an innovative approach to decentralizing healthcare provision by allowing patients and healthcare providers to connect with each other through a dedicated app. This gives patients better, faster, and easier access to healthcare services. The next step for Zynecoin is to announce the final date of the ICO (Initial Coin Offering), a global crowd sale for the cryptocurrency. As its story unfolds, Zynecoin will be able to better facilitate innovation and development throughout Africa by mobilizing capital and human resources.